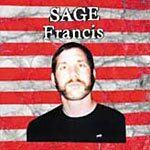 Sage Francis returns with an EP that deals much with the aftermath of the 9/11 attacks. Previously a limited 45, the track 'Makeshift Patriot' makes it onto this release with 5 new tracks for all those fans waiting for a new album. First pressings come on blue wax...oooohhhhhhh!!! !